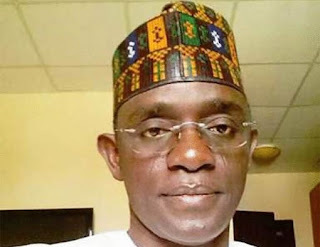 The National Secretary of APC, Alhaji Maimala Buni, on Sunday condemned the recent statement by former minister of defense, Theophillus Danjuma. Danjuma on Saturday called on the people of Taraba State to rise and defend themselves against “ethnic cleansing”. He spoke at the maiden Convocation ceremony of Taraba State university in Jalingo, the capital. “You must rise to protect yourselves from these people, if you depend on the armed forces to protect you, you will all die. “This ethnic creasing must stop in Taraba, and it must stop in Nigeria,” Danjuma said. Reacting, Buni cautioned Nigerians against inflammatory statements capable of undermining government efforts in restoration of peace and security in the country. He said that elder statesmen had great roles to play in uniting the country rather than preaching divisive tendencies. Buni noted the statesmen had opportunities of reaching out to government on any national or regional issue to advise appropriately; and wondered why they opted for the media to pass their messages. “The elder statesmen have great roles in seeing the unity of Nigeria than sending signals of war and disobedience to constituted authorities,” he told Daily Trust. “The play to gallery by elders to be seen as ethnic champions is detrimental to national unity and peaceful coexistence. “It is only Nigerians with skeletons in their cupboards that are scared of this administration because of its fight against corruption and the no business as usual posture,” he said. The APC scribe urged Nigerians to disregard advice that will only brew hate, disunity, even as he commended President Buhari for ensuring the return of the Dapchi girls. He expressed the commitment of government to secure the release of the lone Dapchi girl and the remaining Chibok girls still in captivity.